Clothes hanger size tags made from high quality durable plastic. 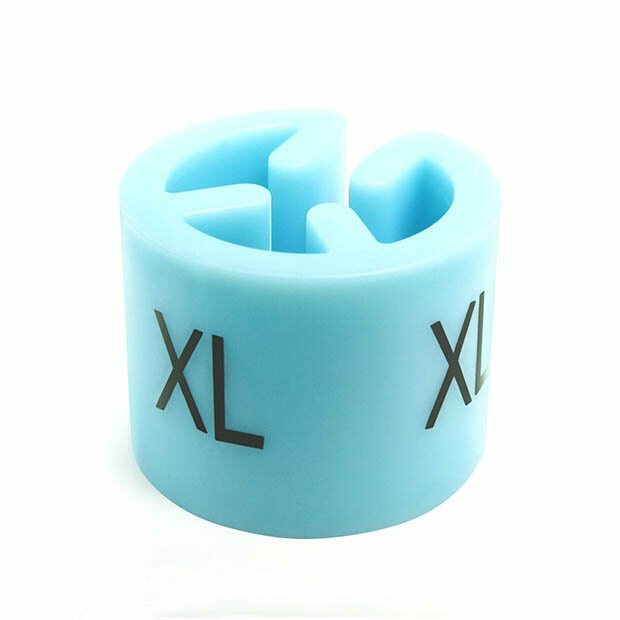 The 'XL' Extra Large blue colour coded size marker makes it easy for customers and staff to find the correct item of clothing quickly and easily. Manufactured to industry standard colours. Ideal for retail outlet, market stall or car boot. Size: Length x Diameter 1cm x 1cm (0.4" x 0.4") approx.